The New York State Department of Environmental Conservation (DEC) and the Office of Parks Recreation and Historic Preservation (State Parks) are preparing a Unit Management Plan (UMP) for both the Crown Point State Historic Site and the Crown Point Campground and Day Use Area. 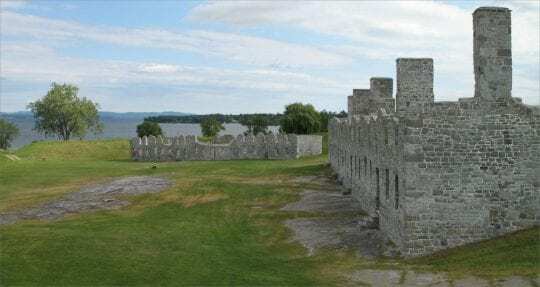 Public comments are sought on the UMP, which will address the future management of both properties, including 440-acres along the shores of Lake Champlain. » Continue Reading. 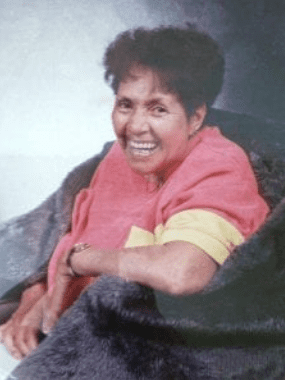 In celebration of Women’s History Month, the Warren County Historical Society will host “The Other Milhollands: John and Vida” on Wednesday, March 27, at 7 pm in Glens Falls. Managing Director of the Ticonderoga Historical Society Diane O’Connor will be the presenter. » Continue Reading. Fort Ticonderoga has announced a 1758 Battle on Snowshoes reenactment is set for Saturday, March 9, 2019. The event recreates the fight between Robert Rogers’ rangers, and a mixed French force of Native American Warriors, Canadians, and French Army soldiers on March 13, 1758. Major Robert Rogers force of both volunteers from the 27th foot, and his own rangers headed out on an extended scout from Fort Edward along Lake George, following an attack on a similar patrol from Captain Israel Putnam’s Connecticut rangers. Hiking on snowshoes due to the three feet of snow, the tracks of Roger’s force were spotted on their march up the west side of Lake George. » Continue Reading. 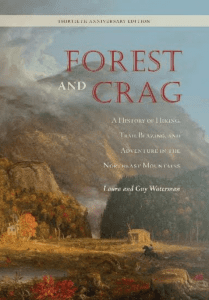 Thirty years after its initial publication, Forest and Crag: A History of Hiking, Trail Blazing, and Adventure in the Northeast Mountains has been republished in an anniversary edition (SUNY Press, 2019). Laura and Guy Waterman’s book is a history of the love affair with the mountains of the northern forests from the Catskills and the Adirondacks of New York to the Green Mountains of Vermont, the White Mountains of New Hampshire, and the mountains of Maine. » Continue Reading. 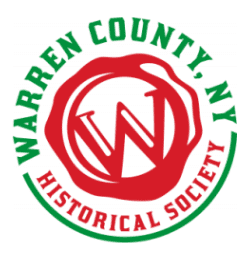 The Warren County Historical Society (WCHS) offers historical programs, a Resource Center, a Book and Gift Shop, historical and genealogical research, archives and collections, the quarterly newsletter Pastimes, museum displays, and historic preservation advocacy. The Society is headquartered at 50 Gurney Lane, in Queensbury where a new, permanent exhibit, “Warren County 360: Celebrating Place and People,” is planned for Summer 2019. 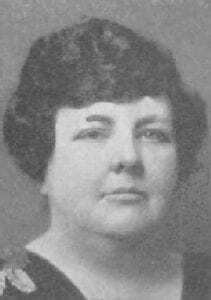 The Society has a membership of 175 and is funded by memberships, donations, grants, and fundraisers. » Continue Reading. 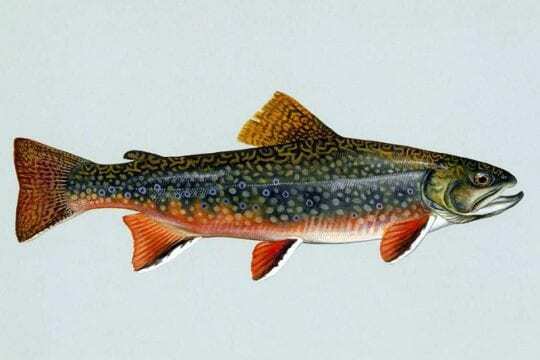 My earliest trout fishing days in and around Bakers Mills in today’s Siamese Ponds Wilderness Area were frustrating because my own fishhook invariably caught mainly my sweater. And we mostly used night crawlers not artificial flies then. Better to wear something less adept at snagging stray hooks. Try thick vinyl, maybe. » Continue Reading. The Whallonsburg Grange Hall, has announce that it has purchased Whitcomb’s Garage in Whallonsburg, the vacant building and land directly across Whallons Bay Road from the Grange. The 1950s-era garage, on a 1.5-acre lot along the Boquet River, was owned by Clarence “Narni” Whitcomb. Whitcomb was a lifelong resident of Whallonsburg who sold and serviced cars there until the 1990s; he died in 2017. » Continue Reading. Fort Ticonderoga is set to host a living history event Saturday, February 16, 2019 about British garrison life in February 1775, three months before Ticonderoga was pulled into the American War of Independence. Living history programs feature the weapons, trades, and home life of soldiers and families during peacetime at Ticonderoga. » Continue Reading. Thoreau wanted to live his life free from the trappings of the commercial world, enabling him to enrich his inner life. 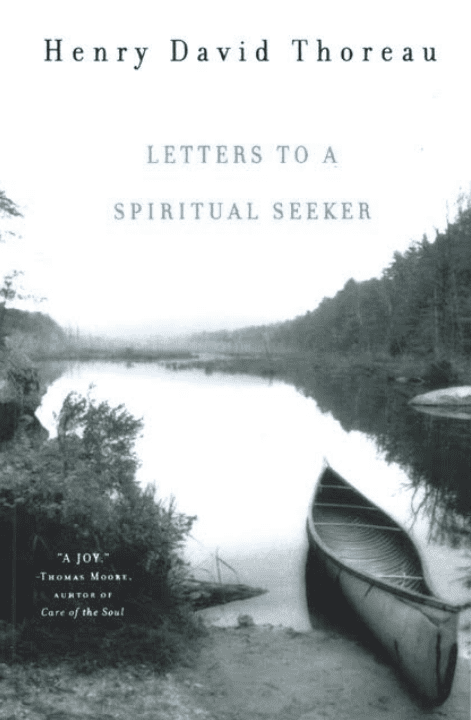 He escaped to his Walden Pond to experience “nature as goodness crystalized.” » Continue Reading.